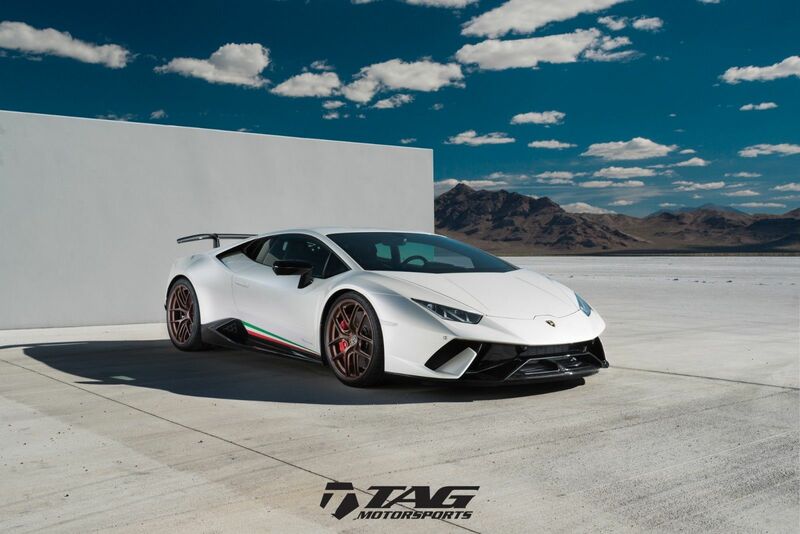 We introduce you to the TAG Motorsports 2018 Huracan Performante. The vehicle was spec'd in a very special specification. 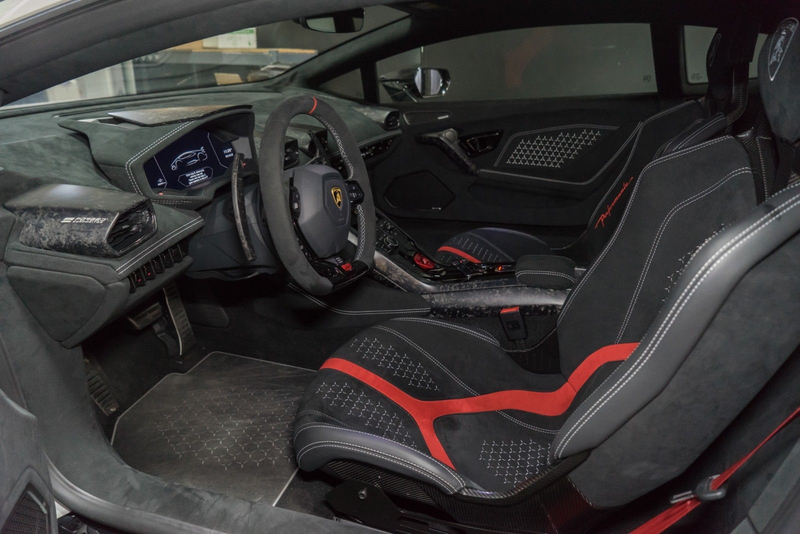 Using Lamborghini's Ad Personam Program which allows you to custom tailor the interior and exterior with special paints and materials. The Exterior was painted Lamborghini's Balloon White which is a VERY Highly metallic white which looks pearly silver and has some blue hue's in different lights - A color that cost an additional $12,700. 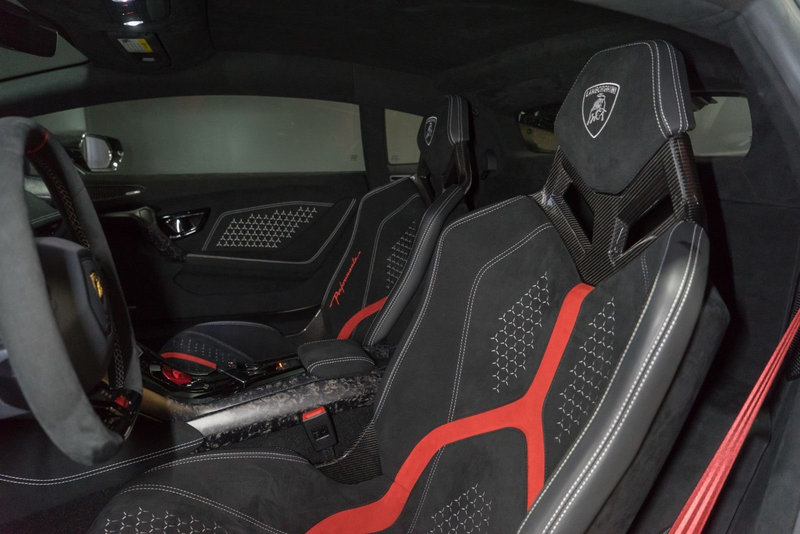 The interior was done in full alcantara with white stitching, featuring the Lazer engraving on teh door panels, as well as the seats. We took the interior a step further by having the center stripe on the seat done in red and the stripe on the steering wheel to match the optional red calipers, and the red seatbelts. The interior is one of a kind - and looks absolutely stunning. 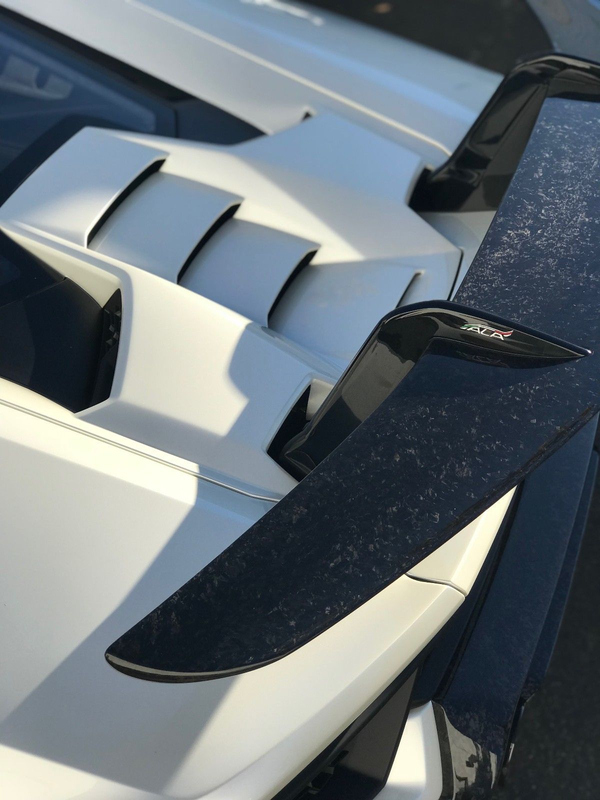 Optioned with the exterior Style Package that gives the glossy black accents, the branding package and a few other goodies - the exterior and interior are a very special combination with the metallic paints and the forged carbon fiber parts. 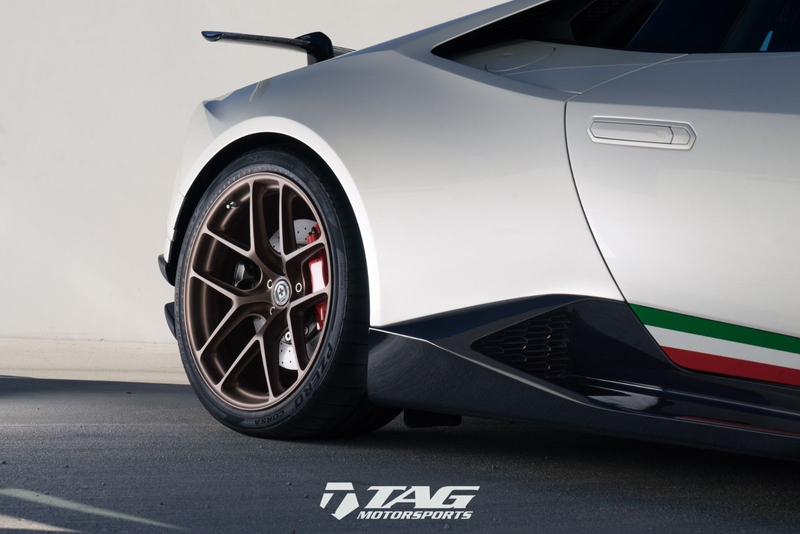 In addition, we wanted to make the TAG Motorsports Performante a bit more special, so we swapped the 20" wheels for a set of HRE R101LW wheels (using factory sizes) for a 4lbs weight savings on each front wheel and a 6lbs weight savings on each of the rear wheels. We also closed the gap down using Novitec's Lowering Springs. Added a front skid plate, and XPEL Clear Bra on the front end, and side skirts - and the car turned into a masterpiece. The Satin Stone Bronze HRE Wheels really set off the color of the car as well! 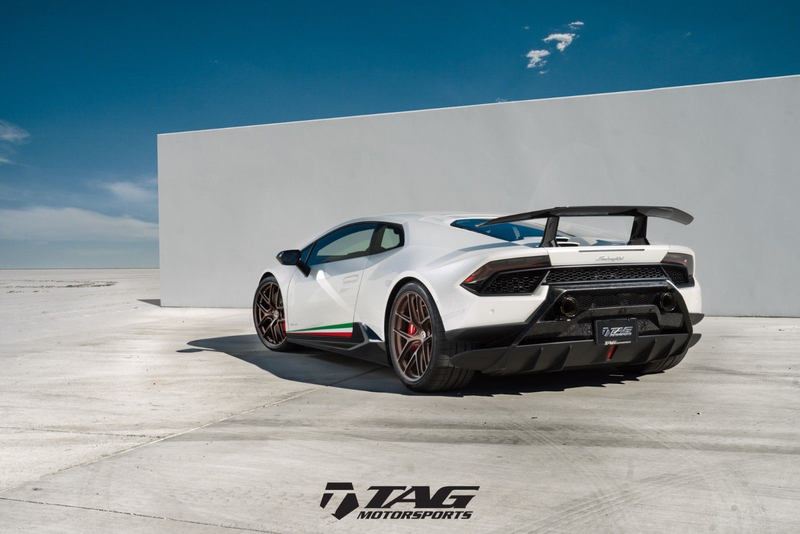 The car was purchased by TAG Motorsports to showcase the finest features of what TAG Can do to your vehicle however its unfortunately time to move on from our beloved project as we have more projects incoming to make room for. 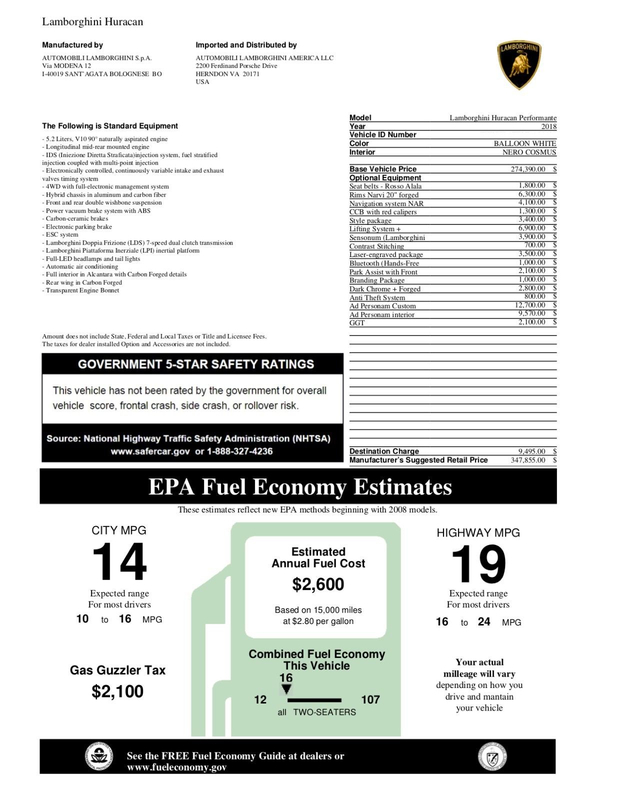 The vehicle can be sold through the local dealership if you would like as well.